BJP leaders from West Bengal said that they would also meet Union Home Minister Rajnath Singh to inform him about the crimes against humanity that still continue in the state. 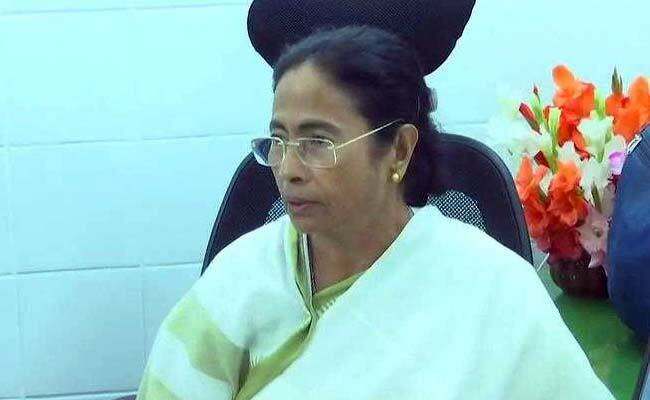 New Delhi: The BJP on Thursday accused West Bengal Chief Minister and Trinamool Congress supremo Mamata Banerjee of "murdering democracy" in the state. Addressing reporters, Bharatiya Janata Party leaders from West Bengal said that they would also meet Union Home Minister Rajnath Singh to inform him about the crimes against humanity that still continue in the state. "Crime against humanity continues in West Bengal. Be it riots or pre-poll violence. Democracy is being murdered. A concerted effort is being made by Mamata di to gauge democracy," Union Minister Babul Supriyo told a press conference jointly addressed by another Union Minister, S.S. Ahluwalia, and Rajya Sabha lawmakers Rupa Ganguli and Swapan Das Gupta. Showing some video clips of alleged atrocities against its cadres, the BJP leaders said that an atmosphere of fear is being created by the TMC and Ms Banerjee to stop party workers from filing nomination for the panchayat polls. "Whatever is happening in West Bengal is crime against humanity. We are going to Rajghat. We have also sought time to meet Rajnath Singh ji. We will also protest in front of Mahatma Gandhi's statue in parliament house complex on Friday," Supriyo said alleging that the entire state administration has been behaving like TMC cadres. He said that the common man in West Bengal has lost their fundamental right to protest and even file a complaint. Ms Ganguli said BJP cadres who were willing to file nomination for the polls were being targeted and killed. "They did not even leave a pregnant women. This is happening in a state ruled by a female chief minister," she said. Mr Ahluwalia stated that Ms Banerjee has ordered the TMC cadres to win the 50 per cent of the total seats unopposed. "As she (Ms Banerjee) is facing challenges from the BJP she is trying to stop our people from filing nominations. As a result our cadres are being threatened so that they could not file nominations," he said. Mr Dasgupta dubbed West Bengal as the most violent place in India. "The state Election Commission had sought deployment of paramilitary forces to supplement the state forces but the state government refused saying, the state forces were adequate. When there is such violence before elections, it can be easily understood that what can happen before the polls," he said. The BJP has also sought the Supreme Court's intervention into the matter. The upcoming Panchayat polls in West Bengal will be held in three phases in the first week of May. The counting will take place on May 8. A total of 58, 467 polling stations will be set up in 20 districts for the over 5.08 crore voters.